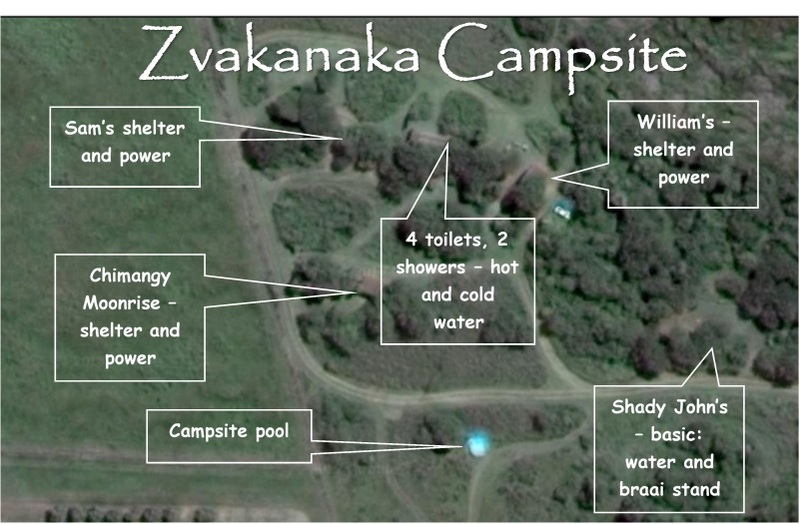 A number of sites for tents and space for one or two caravans are available at Zvakanaka – all boasting wonderful mountain views and are situated down near the wetland – far from the cabin and cottage. Here Thick-billed and Golden Weavers make their nests, White-faced duck may fly past at dusk and dawn, the Long-Crested Eagle enjoys hunting in the grassland and the Gorgeous Bushrike tantalises all day. The dawn chorus of birdsong across the wetland is rivaled only by the evening cacophony of birdsong including both species of Guineafowl, and the numerous Francolin, including Shelley’s. There are four camps, William’s, Sam’s, Chimangy Moonrise, and Shady John – named after our employees who work on the farm and who helped to build them. The four camps share the ablution block consisting of four toilets and two showers. Each of these has their own entrance and basin – no more brushing teeth rubbing elbows with a total stranger! The ablutions are unique and fully electrified. Shady John’s site has a braai stand, water point, power point and a ground fire place. No Minimum per site and 10 maximum. There are numerous trails cut on the farm, a path across the wetland takes you directly into the bush favoured by Robins, Shrikes and Turacos. You can then choose whether to wander gently or take a steeper hike to the very top of the cliffs where, if you are lucky, you will look down on the Lanner Falcons which nest on them. Please kindly note that NO PETS of any sort are allowed on our farm.